Wine Owners is a recently launched online platform that makes it easier and less time consuming to actively managing a wine collection. Their ‘Portfolio Management’ system provides “all the information and tools needed to inform buy, sell, hold, lay down and make drinking decisions.” Owner Nick Martin says “Price discovery is an essential requirement of any properly functioning market. 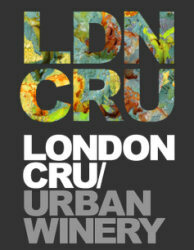 That’s why we deliver a definitive database of 150,000 fine wines, including current prices and price history*. Charting and comparisons further support the decision-making needs of collectors and fine wine enthusiasts. Members gain more power and control to self-manage thanks to our tools, up-to-date research and transparency provided by Market Level Pricing™.” Another intriguing aspect of the service is ‘Wine Passport™’, which sets a standard for provenance in respect of assured fine wine trading. Nick Martin says “we never forget that fine wine is a passion for most collectors, so our definition of value is to support long-term collecting, investing and trading goals via a secure, transparent platform. The biggest aggregate stockholders in the secondary fine wine market are private clients, but many don’t have the time to take advantage of market demand at the right moment.”See wineowners.com. 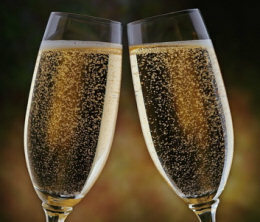 A survey conducted to mark National Champagne Week last week has revealed that half of Britons don’t realise Champagne comes from France – despite the UK being the second biggest consumer of the drink. Reality TV shows like Made in Chelsea and The Only Way is Essex are being credited/blamed for creating a culture of young Champagne drinkers, yet one that lacks basic knowledge. The survey, commissioned by Searcys Champagne bars revealed that almost one in five 25-34 year olds purchases the drink at least once a week, but almost 60% admitted that they didn’t know where it came from. By far the most knowledgeable drinkers were those aged 55 or older, with almost 70% correctly identifying the origins of the French drink and almost half able to tell the difference between a cheap and a premium Champagne. Queenstown on New Zealand’s South Island is on many tourists map, an area of glorious scenery and world centre of adventure sports, but also the heart of the Central Otago wine industry – more my reason for going than the bunjee-jumping. 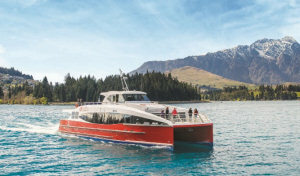 Just launched is a new attraction, the Spirit of Queenstown catamaran that is about to make its maiden voyage Lake Wakatipu. The multi-million dollar catamaran is launching as part of the annual Queenstown Jazz and Blues Festival. The two hour Spirit of Queenstown Jazz, Blues and Wine Cruise will be “people’s first opportunity to experience the area’s newest tourist attraction up close and personal,” according to a spokesperson, and regular music cruises will follow. Tickets and details from www.eventfinda.co.nz.